Gallery of all species in the site. For the search you can enter the scientific name, common name, host plants or any useful word identification. Special thanks to all members of the Forum of Natura Mediterraneo to whom I owe many identifications. The Lepidoptera (/ˌlɛpɨˈdɒptərə/ lep-i-DOP-tər-ə) is an order of insects that includes moths and butterflies (both called lepidopterans). 180,000 species of Lepidoptera are described, in 126 families and 46 superfamilies, 10% of the total described species of living organisms. It is one of the most widespread and widely recognizable insect orders in the world, encompassing moths and the three superfamilies of butterflies, skipper butterflies, and moth-butterflies. The term was coined by Linnaeus in 1735 and is derived from Ancient Greek λεπίδος (scale) and πτερόν (wing). 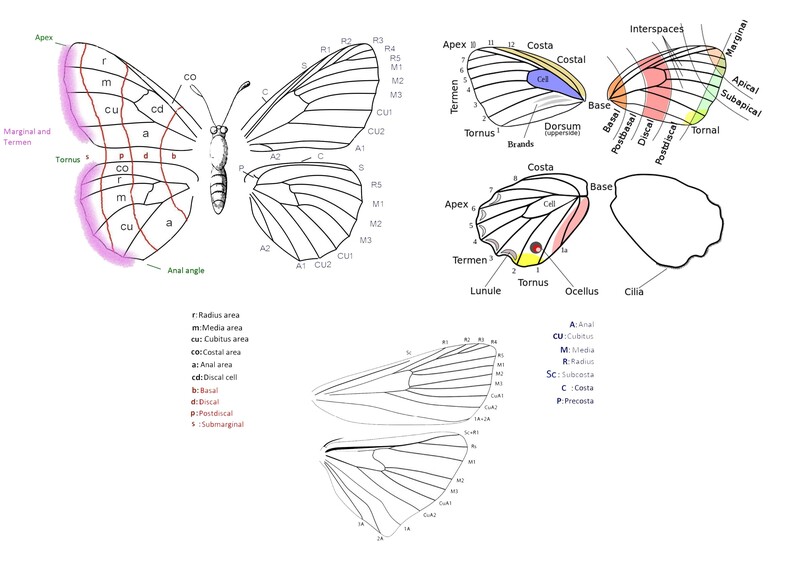 The Lepidoptera show many variations of the basic body structure that have evolved to gain advantages in lifestyle and distribution. Recent estimates suggest the order may have more species than earlier thought, and is among the four most speciose orders, along with the Hymenoptera, Diptera, and Coleoptera. Lepidopteran species are characterized by more than three derived features, some of the most apparent being the scales covering their bodies and wings, and a proboscis. The scales are modified, flattened "hairs", and give butterflies and moths their extraordinary variety of colors and patterns. Almost all species have some form of membranous wings, except for a few that have reduced wings or are wingless. Like most other insects, butterflies and moths are holometabolous, meaning they undergo complete metamorphosis. Mating and the laying of eggs are carried out by adults, normally near or on host plants for the larvae. The larvae are commonly called caterpillars, and are completely different from their adult moth or butterfly forms, having a cylindrical body with a well-developed head, mandible mouth parts, and from none to 11 (usually eight) pairs of prolegs. As they grow, these larvae change in appearance, going through a series of stages called instars. Once fully matured, the larva develops into a pupa, referred to as a chrysalis in the case of butterflies and a cocoon in the case of moths. A few butterflies and many moth species spin a silk case or cocoon prior to pupating, while others do not, instead going underground. 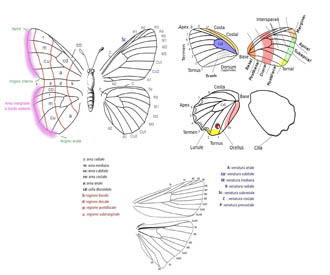 The Lepidoptera have, over millions of years, evolved a wide range of wing patterns and coloration ranging from drab moths akin to the related order Trichoptera, to the brightly colored and complex-patterned butterflies. Accordingly, this is the most recognized and popular of insect orders with many people involved in the observation, study, collection, rearing of, and commerce in these insects. A person who collects or studies this order is referred to as a lepidopterist. 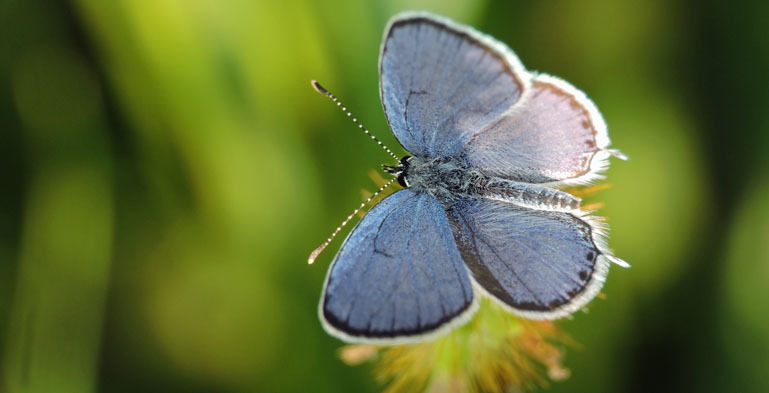 Butterflies and moths play an important role in the natural ecosystem as pollinators and as food in the food chain; conversely, their larvae are considered very problematic to vegetation in agriculture, as their main source of food is often live plant matter. In many species, the female may produce from 200 to 600 eggs, while in others, the number may approach 30,000 eggs in one day. The caterpillars hatching from these eggs can cause damage to large quantities of crops. Many moth and butterfly species are of economic interest by virtue of their role as pollinators, the silk they produce, or as pest species. The "Bassa Friulana" is a low-lying, and level area of Friuli, specifically the very southern part of the province of Udine, in the north-eastern Italian region of Friuli-Venezia Giulia. It is well known for its beaches (such as those of Grado, Grado Pineta, Lignano Sabbiadoro, Lignano Pineta and Lignano Riviera) , and for its lagoons (such as those of Grado and Marano Lagunare,they are nature reserves ). 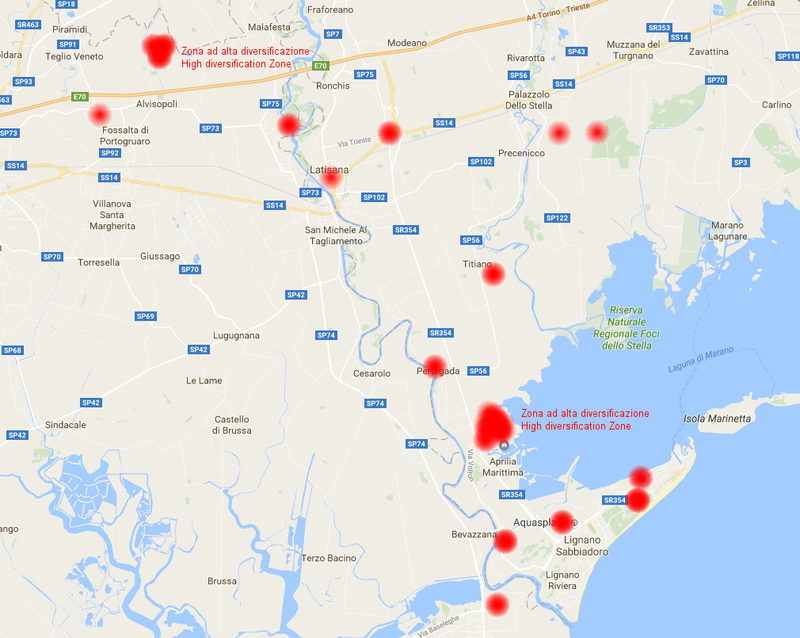 To the west it is traversed by the river Tagliamento, it flows into the Gulf of Venice between Lignano Sabbiadoro and Bibione. The climate of the Friulian plain is humid sub-Mediterranean. Water too plays a crucial role in the landscape, and in these places, with different types of water (fresh, salt, brackish), biodiversity is well developed.